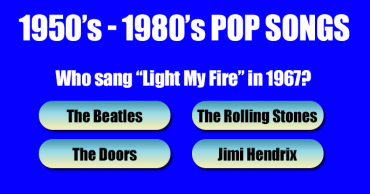 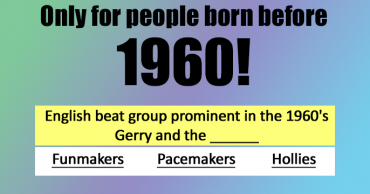 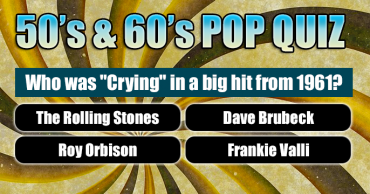 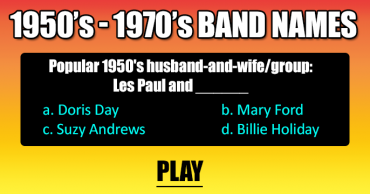 1960’s Music Quiz – Can you complete the names of these groups? 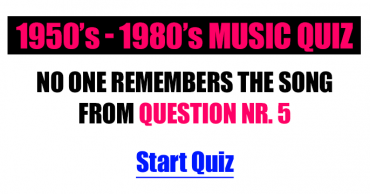 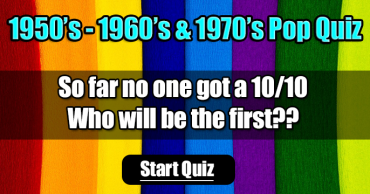 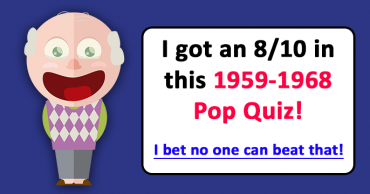 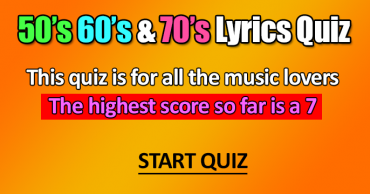 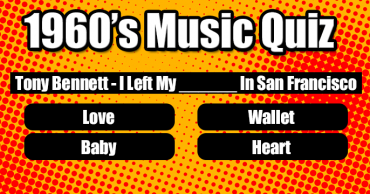 No one scores a 10 in this 1950s – 1960s music quiz! 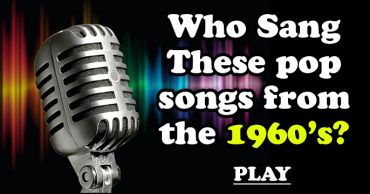 Who sang these pop songs from the 1960s?